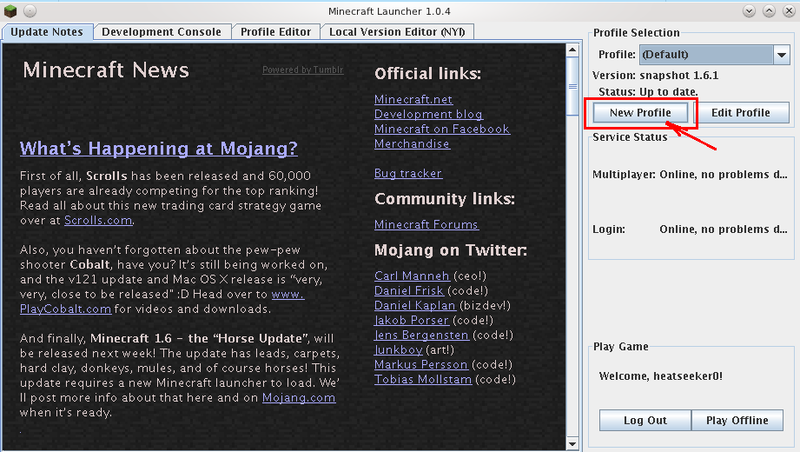 As I mentioned in an earlier post, Mojang will issue later today the 1.6(.1) update. I’m about half done with updating our server to be compatible with it. Due to the massive changes inside the game code, this will take a bit longer, perhaps a day or two more. Then start it and follow the instructions below. To increase the pictures size, simply click on them. Step 1: Click on New Profile. Step 2: Enter a profile name. It can be anything you want, here I’ve entered Minecraft 1.5.2 to make it easy for me to remember what’s the profile about. Step 3: Click on the box next to Use version, scroll down to release 1.5.2 and click on it. 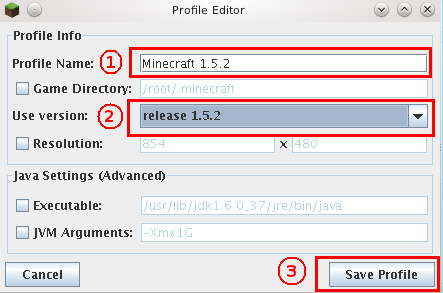 Step 4: Verify all other settings match the ones in the image above, then click on Save Profile. Step 5: Click on the box next to Profile, and select the name you’ve entered at step 2 above. Enter your username and password. 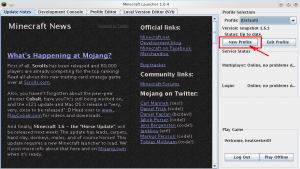 You can follow this tutorial even now, before the release, so you can connect and play Skyblock and at the same time experiment with the new things in 1.6 in single player. This entry was posted in Minecraft Skyblock Server News, Minecraft Skyblock Server Tutorials, Minecraft Survival Games News on July 1, 2013 by heatseeker0.